By Michael Bussard, edited by John B. Allen, David Kosowski, Charles F. Priore, Jr. If you’re a serious shooter, the latest 4th Edition of the Ammo Encyclopedia (released in August, 2012), belongs in your library. This 972-page book is probably the most comprehensive and up-to-date book in print covering current and obsolete cartridges and shotshells. 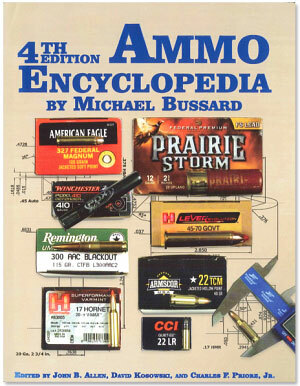 Bussard’s Ammo Encyclopedia is a massive resource work. The 4th Edition now boasts over 100 chapters. 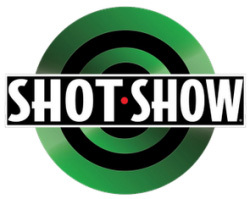 One of the best features is a 12-page color section depicting actual size drawings of 265 current rimfire/centerfire cartridges and shotshells. You won’t find that many “life-size” cartridge drawings in one place even on the internet. Cartridge profiles and ballistic charts have been expanded to include all new factory cartridges. The authors have even included air rifle pellets and historical images and charts. Softcover, 972 pages. Share the post "Ammo Encyclopedia is a Valuable Print Resource"